So glad you could stop by to visit us; I am sure you won't be sorry after you meet all my Fur Babies and read their stories! 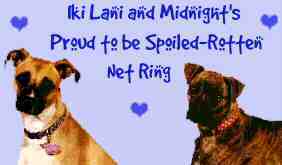 I also have sites on two of my rescue fur babies that have gone to the Rainbow Bridge. They were a very big part of my life and I would love for you to read their story. I sure miss them! 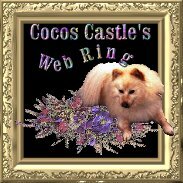 If you came here through a Web Ring then just click below to get into my Home Page. Please take the time to write a little something in my Guest Book so that I know you were there! owned by Barbara And Her Fur Babies. 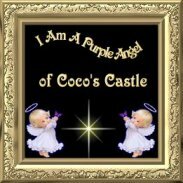 This Crazy For Cats site is owned by Barbara And Her Fur Babies. Barbara And Her Fur Babies.